Heads up Bath & Body Works fans! 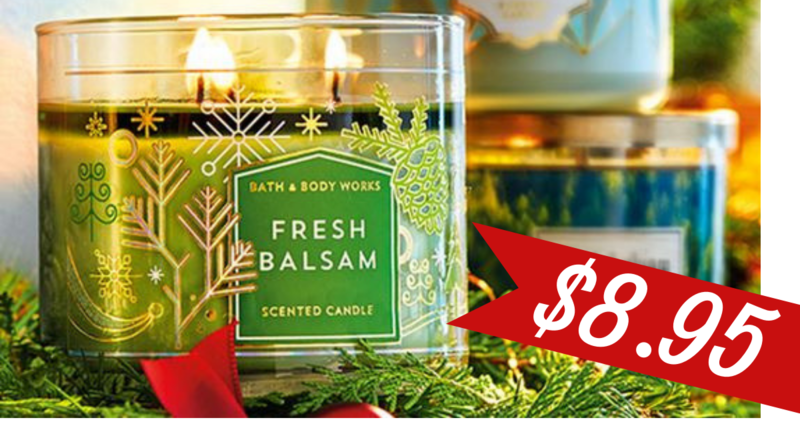 This Saturday (12/1) Bath & Body Works will be running their super popular sale on 3-wick candles for just $8.95 (reg. $24.50)! These make fantastic Christmas gifts and are perfect for your own home to bring in those holiday smells. This offer is available online or in-store on December 1st only.